As 2014 comes to a close, people in mainstream media, popular online media, and the Bitcoin community have been ruminating on whether or not 2014 was a success or failure for Bitcoin. Many people outside of the Bitcoin community have focused solely on the Bitcoin price, and have therefore deemed the digital currency as the “worst investment of 2014.” On the other hand, people within the Bitcoin community have cited the expansion of the Bitcoin economy as a whole—rather than focusing only on the Bitcoin price—in their arguments that 2014 has been a largely successful year for Bitcoin. This two-part article seeks to explore some of the changes that occurred in the Bitcoin world in 2014, both in the Bitcoin price and in the currency’s financial infrastructure. As far as pure dollar profit is concerned, it is undeniable that 2014 has been an extremely bearish year for Bitcoin investment. The year-to-date (YTD) Bitcoin price is down by more than 50%, making for huge losses for many people who have invested in Bitcoin since the November 2013 Bitcoin price peak. However, simply looking at the YTD price and concluding that Bitcoin failed in 2014 due to investment losses does not do Bitcoins overall economic activity justice. Of course, it cannot be denied that many day traders suffered significant losses, but focusing on nominal losses and gains ignores the significant structural changes that occurred and expanded the Bitcoin economy. Examining those changes provides us with information which suggests that the Bitcoin price may level out in 2015, possibly even making bullish gains. Part one of this article focuses on how Mt. Gox—a now defunct Bitcoin exchange, which was formerly the world’s largest Bitcoin exchange—affected the Bitcoin price, and may have diverged it from real demand. This divergence makes for dramatic news stories and conclusions, such as calling Bitcoin investment 2014’s biggest loser, but it does not say anything significant about the very positive growth in the Bitcoin economy. News moves incredibly fast online, especially in the Bitcoin world. Therefore, the infamous Mt. Gox debacle seems like a distant memory. However, the exchange did not shut down until early 2014, so it is not much of a stretch, then, to say that the market has not yet fully recovered from the Gox collapse. In May, a report was released that analyzed some records that were obtained from the Gox exchange. The report, dubbed “The Willy Report” uncovered suspicious bot activity going on in the time leading up to and during the November 2013 price peak. Mark Karpeles, the CEO of Mt. 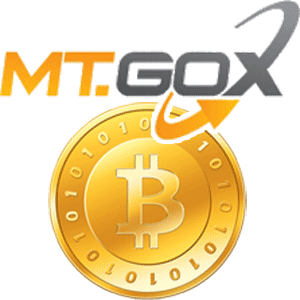 Gox, claimed that the bots in question were merely part of a trading service for high level Bitcoin investors. However, the records that were analyzed in the Willy Report show that the bots were making what appeared to be false trades even while the Bitcoin exchange was completely shut down for maintenance—when no one had access to Gox’s trading services. Thus, it very well may be the case that the 2013 Bitcoin price spike was at least partially brought on by fraudulent bot activity, creating the illusion of rising demand. And when the exchange officially shut down in early 2014, the Bitcoin price crashed, setting the stage for the price activity for the rest of the year. Thus, if the November 2013 peak was indeed created by fraudulent trading, and there truly was not enough real demand to sustain those high prices, then it is only logical that the Bitcoin price would fall a great deal once the bots stopped trading. If we isolate the Mt. Gox debacle, and look at the price preceding the bubble, then we may get a more realistic view of the price activity that was backed by legitimate changes in valuations. In the days before the sudden price spike, Bitcoin was trading at approximately $200 per coin. If we compare that price with the current one, rather than looking at the YTD price, the picture is much different. Presently, the Bitcoin price is around $323, which is approximately 61.5% up from the price that persisted before the 2013 peak. It seems, then, as if the year-long downtrend in the price could actually be a sign that the market is still in a correction, trying to adjust to the level of real demand after the price had wildly diverged from it. Given that the Bitcoin price has been trying to drop to pre-November 2013 levels, it is possible that it could continue falling until it reaches the $200s, or possibly even lower. That would be bad for day traders, of course, but it does not mean that the currency is dead. Rather, it would merely signal that the market has fully corrected. In fact, we will see that the Bitcoin economy is actually growing, and is continuing to grow, in the second part of this article. Therefore, if fraudulent activity from Mt. Gox really did artificially pump the Bitcoin price, then looking at the price chart and nothing else elicits little information regarding the true state of Bitcoin investment in 2014. While there is evidence to support the claim that Gox artificially pumped the price, nothing is certain, so we cannot definitively say that the best way to analyze 2014’s Bitcoin price activity is to adjust for an artificial bubble. However, it seems as if many people in the mainstream that have declared Bitcoin as 2014’s worst investment have forgotten about the suspicious nature of Mt. Gox’s bot activity and how it could have impacted price movements, or never were aware of it to begin with. The possibility that Mt. Gox did artificially pump the Bitcoin price suggests that we should look at more than just the price to get a clear picture of the growth (or decay) that occurred in the Bitcoin economy during 2014. In part two, we will look at the changes in the Bitcoin economy in 2014 in terms of growth and investment. What kind of impact do you think Mt. Gox had on the Bitcoin economy in 2014? Leave your response in the comments below!